FBAR reporting obligations require a US taxpayer holding $10,000 or more in a foreign financial account, at any moment in time during the tax year, to file a Report of Foreign Bank and Financial Accounts (FBAR). Once this obligation is known, at least in some contexts, the FBAR reporting requirement seems fairly obvious. Funds held in a foreign bank or securities that exceed $10,000 would rather clearly trigger an FBAR filing requirement. However, services provided over the Internet and hybrid services that can be used for multiple purposes can sometimes obscure these distinctions. 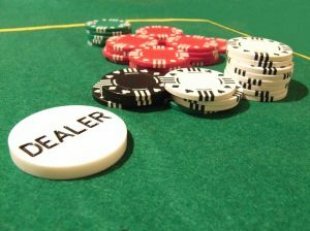 Such was the case in United States v. Hom, where online poker accounts and an online payment service triggered an FBAR obligation. This matter – which was pursued without a tax lawyer on a pro se basis – further emphasizes the value of representation by an experienced tax lawyer for FBAR and other international tax issues. What were the facts in Hom? Mr. Hom gambled through the internet poker sites PartyPoker.com and PokerStars.com in 2006 and 2007. At the time, PartyPoker was based in Gibraltar and Pokerstars was based on the Isle of Man. To transfer funds into these poker services, Mr. Hom utilized a UK-based service called FirePay. In short, the FirePay account acted as both a location to store money and as a conduit to transfer Mr. Hom’s money to the poker services. Thus Mr. Hom held three accounts: Pokerstars, PartyPoker and FirePay. After a routine audit, the IRS discovered that Mr. Hom had not filed an FBAR until 2010. Penalties were assessed for each of the 3 accounts for 2006 at $10,000 per account. An additional $10,000 penalty for the Pokerstars account for 2007 was also assessed. Thus, Mr. Hom faced $40,000 in fines and penalties – with interest – due to FBAR compliance issues. Mr. Hom challenged the penalties largely on two grounds. First, he alleged that these were not foreign “bank, securities or other financial account[s]” that would give rise to a FBAR reporting requirement. Second, he challenged the determination that these accounts were foreign accounts for tax purposes. The Court of Appeals for the Fourth Circuit has held that an account with a financial agency is a financial account under Section 5314. Given the extremely broad definition, and the fact that Firepay, PartyPoker, and Pokerstars acted as a commercial bank (since at an account-holder’s request the companies will store, hold, or transfer money and funds) the accounts were financial accounts. The defendant’s argument that these were not “foreign” accounts and thus not subject to FBAR requirements also failed. The court found that Mr. Hom’s accounts were digital constructs held by foreign financial institutions. Furthermore, the court found the defendant’s reliance on the statement found on the 2010 FBAR form, “[t]he geographic location of the account, not the nationality of the financial institution in which the account is found determines whether it is an account in a foreign country,” to be unconvincing. The court noted that this language did not have legal weight citing 9th Circuit precedent which states, “Interpretation by taxpayers of the language used in government pamphlets [cannot] act as an estoppel on the government, nor change the meaning of taxing statutes.” Adler v. Commissioner, 330 F.2d 91, 93 (9th Cir. 1964). The major implication is that those who hold digital, online accounts through non-US companies may have an FBAR reporting requirement. While in this instance the accounts were for online poker, it is likely that any online account in a foreign country will give rise to an FBAR reporting obligation. Other types of online gaming accounts, payment services, or any other service that approximates a bank should likewise be treated with caution. Additionally, this matter sharply illustrates the value of an experienced tax professional. In recognizing that the case presented a novel issue, and that Mr. Hom may have failed to properly brief the court, the court itself put out a public call for pro bono representation for Mr. Hom. Unfortunately, pro bono counsel did not answer, and Mr. Hom proceeded to advance arguments that were either off-point or unlikely to influence the court. To start with, a tax attorney could advise his or her client of potential remedial measures, such as participation in the Offshore Voluntary Disclosure Program (OVDP), before a tax concern turns into a tax audit with significant fines and penalties. Furthermore, an experienced tax lawyer would have undoubtedly informed Mr. Hom that his reliance on the instructions contained on the FBAR forms was misguided, but might have argued to the court that reliance on the form instructions was reasonable for an unrepresented taxpayer. Working with an experienced tax professional can help you avoid making a costly mistake similar to those made by Mr. Hom. If you are facing international tax compliance issues including FBAR problems, The Brager Tax Law Group may be able to work with you to resolve these issues. To schedule a confidential consultation with an experienced tax lawyer call 800-380-TAX LITIGATOR, or contact our law offices online.